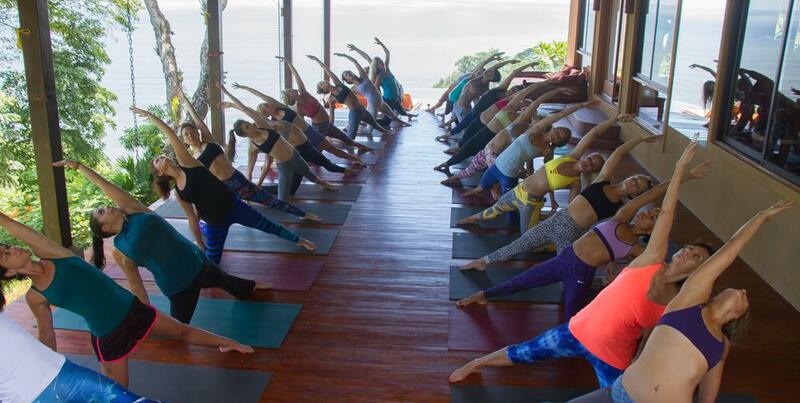 Maybe you need to escape the hustle and bustle of everyday life… or you’ve just suffered a tragic loss or life event… or perhaps you simply want to deepen your yoga practice in a tropical paradise. The first step in your transformation could be joining us for a week here at Anamaya! We are also now offering a Scuba Certification and Yoga package to our guests who are interested in learning how to scuba dive… And a Couples Retreat package for those who are traveling with that special someone. OPTIONAL WORKSHOPS: We’re excited to offer our guests the Bandha, Boundaries and Beads Workshops. The three workshops included are The Health of your Pelvic Floor, Your Body’s Boundaries, and Creative Meditation: Make Your Own Mala. For more information and price please see below. Angela Plaquin hails from Alberta, Canada. Always involved in athletic pursuits, she grew up a jock. Using her body through sport was a form of self-expression. This love of movement combined with the desire to be in a helping profession led her to pursue a career in Physical Therapy. Soon thereafter, she became a certified fitness instructor. Her first taste of Yoga was in 2001. It became for her, the perfect mix between strength and flexibility. It was that thing that could be tailored to any person regardless of age or physical ability. She began teaching yoga in 2004, and soon recognized it to be her source of calm, balance and grounding energy. She is a 200hr RYT as well as Level II RYT Yin certified. 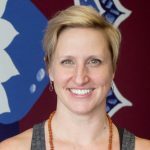 Over the years she has attended hundreds of hours of courses workshop and conferences in the field of rehabilitation and with well-known teachers from a wide variety of yoga styles. As co-owner of a thriving yoga studio in Cold Lake Alberta, she teaches Power Flow, Vinyasa Flow, Physi-Yoga, and Yin. In her continued pursuit for learning, she has furthered her physical therapy professional scope by becoming certified in Level II AFCI acupuncture and spinal manipulation. She often works often in the field of Woman’s Health. Her approach to rehabilitation and to yoga is largely based on functional anatomy; looking at the interaction of whole systems. Ang’s combined skill set gives her a great advantage as a yoga teacher. Knowing and understanding anatomy and pathology, gives her a keen eye for alignment, to see subtleties in her students as well as the ability to modify to any level or physical ability. She recognizes that having a knowing of body movement through her own yoga practice helps her to be a better physical therapist, and in turn a better yoga teacher. She values that teaching allows her to express herself and share with others a physical journey on the mat and endeavor to also guide and increase awareness of how this practice goes deeper. 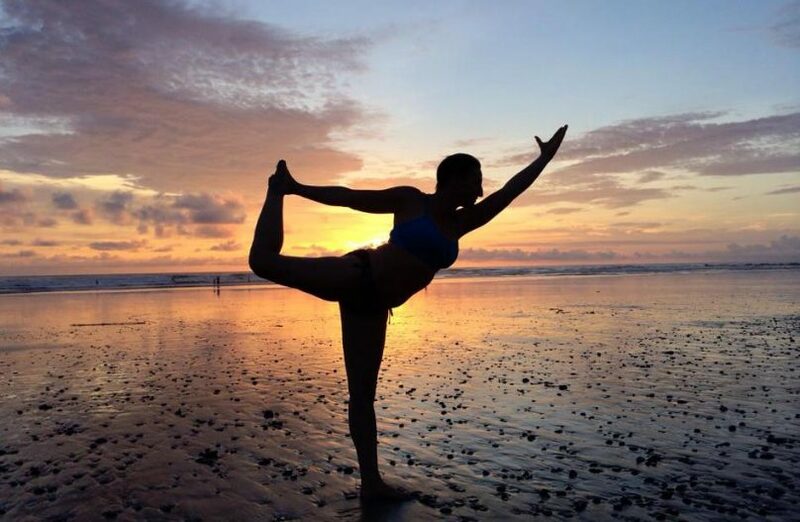 For Angela, yoga is about thoughtfully moving the body, and the breath within that body, to build connections and awareness…the asana is just a tool! She also firmly believes that yoga should be FUN! While you breathe and bend to creative and thoughtful playlists, she loves to make you smile, laugh and question! She enjoys challenging herself and the participant, in a safe and enlightening way. During the week at Anamaya, each morning kicks off with a dynamic and fun, flowing sequence that will focus on a different functional anatomical line or pattern of the body, exploring the physical connections from head to toe. The evening restorative candlelit Yin classes will mirror the focus of the morning sequence while adding meridian theory and imagery. Her physio brain is never far away and as she leads you through a sequence, she will teach you a little more about anatomy, breath, and the integration of systems in your body.Such as, what is dural tension? Why does the gaze (drishti) matter? When and how to integrate bandha? She loves to see the “aha”moments in the students faces when they are able to feel the difference a deeper understanding of the body can give their practice. She uses metaphor, analogy and imagery to help spark this physical awareness that then leads a person to seek deeper understanding, and connection to the whole. The goal of the week is to impart to you some basic tools that serve to help you assess yourself from the inside out. Ang is known for her energy, positivity, the ability to talk to anyone and for engaging and connecting with her clients. She is skilled at creating an environment that allows those around her feel safe to further explore, their body, heart and spirit. She is someone from whom friends seek advice, mediation and conflict management. She calls herself a Universalist, believing that we are all connected, and that our similarities are greater than our differences. 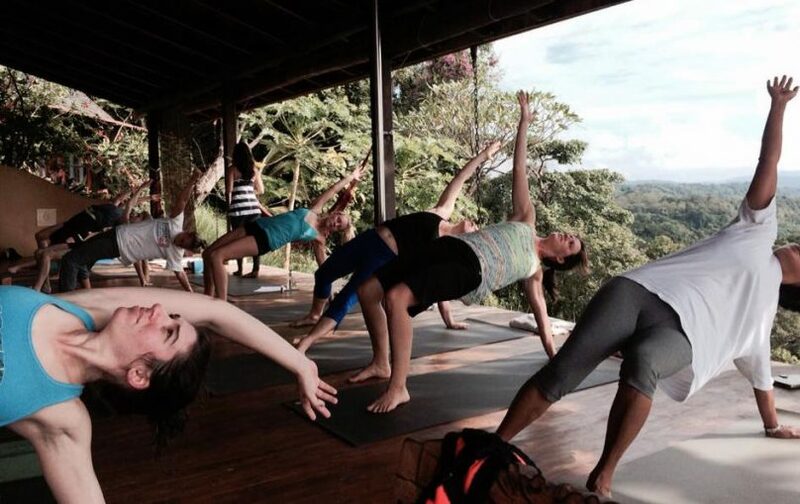 She greatly looks forward to returning to Anamaya to share with you a week of deepening self-awareness, and to facilitate the physical, emotional, and energetic connections that a yoga practice can provide. This goal of workshop is to help dispel the common misconception that as we age, or that after childbirth, that it’s normal to experience some “leakage” or other problems in the pelvic region. This is not true! While a urinary incontinence and pelvic organ prolapse affect primarily women, men too can experience challenges with the pelvic floor. You will gain a better understanding and awareness of your pelvic floor, its functions, and how you can effectively train it to prevent these common issues. See how your yoga practice and bandha activation can support the process. 2 hours. Price is $40. Delve into anatomical variation and different types of restrictions. Learn which types of resistance are good to work through, and which you should honor in order to avoid injury, and support a nurturing, rejuvenating yoga practice that will serve you’re for a lifetime. 2 hours. Price is $40. ***Package Price For All Three Workshops Is $115. Top to bottom, individual, biomechanical, Physical Therapy scanning exams to trouble shoot for imbalances, alignment issues, weakness or other impairments that may lead to pain and dysfunction. One hour each session. Includes strategies, tools and recommendations for treatment.